Top Shelf Productions, 9781603093507, 160pp. 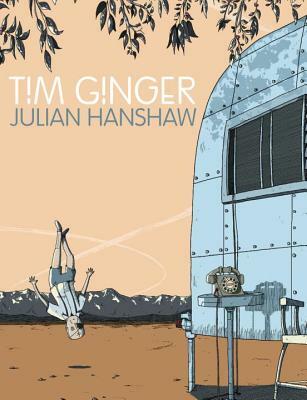 Prize-winning British cartoonist Julian Hanshaw makes his American debut with the rich and meditative story of Tim Ginger. Once a government test pilot, now a widower, Tim enjoys a quiet retirement in New Mexico… until a conspiracy theorist starts asking uncomfortable questions, and the haunting reappearance of an old friend provokes some hard choices about when to let go and when to hold on. His most recent graphic novel, Tim Ginger, was shortlisted for the British Comic Award and the LA Times Book Award, and his new book, Cloud Hotel, is coming from Top Shelf in mid-2018. He lives on the south coast of the UK with his wife Sarah and spends too much time thinking about cricket.